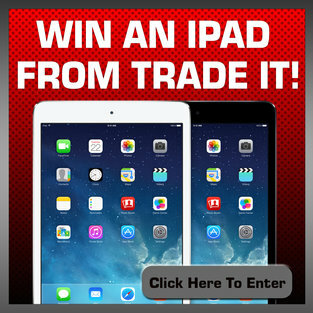 Try Tradeit! Stores, the best place to sell, trade or buy pre-owned goods! Launched in Fayetteville, NC in 2005, Trade It! has grown to 4 locations with more to be announced. Trade It! Look around your home, garage or spare room and bring any items in good working condition that you no longer need or want and get cash for them on the spot at your local Trade It! Store. You will always find what you are looking for at your nearest Trade It! Store. Even better – everything is always priced to go! You are sure to find unusual and different products, as well as those household essentials at prices you can afford. Best of all we have a 30-day warranty on most of our items. You always get the best value when you trade in your items for a Trade It! gift card. Our gift cards never expire and can be used to make purchases and layaways at any participating Trade It! location.